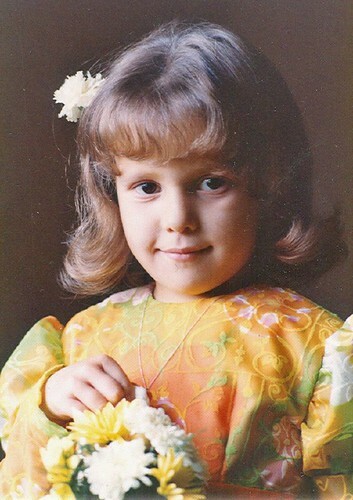 I was 5 years old - today - all those years ago. In two weeks time my wee girlies will celebrate their 5th birthday and then in (quite) a few more years they will be looking back from where I am today. Life keeps going on, birthdays keep coming and going. If any of you have figured out how to slow down time be sure to share your secret...okay? Happy Birthday!!!!!!!!!!!! and what an adoreable dress!!!!! was it your birthday...? darn- not the gooder friend I thought I was. sorry I missed celebrating you. raincheck? Happy Birthday! You were as cute as your girls are now! We'll have to celebrate before homeschool activities keep us too busy. I hope you have a happy year! I wore that dress at my sister's wedding...so 1970's!! I'd love to get my hands on some of that funky fabric. Aw, what a sweet picture! Your girls look so much like you...beautiful! I hope you had a nice birthday and I hope the girls enjoyed their 5th. I did have a nice birthday and the girls enjoyed their 5th very much! thank you.